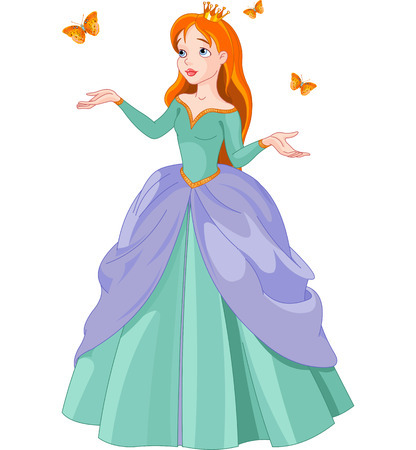 I’m baffled by the fact that most people think of me as a Disney princess – complete with animal attendants. The first problem with this belief is that all of my animal attendants are cats and, as much as we love each other, they aren’t about to lift a paw to assist with anything as mundane as household chores. I don’t know if I project some sort of princess aura or what. If I do, I’d love to find some way to turn it off. I’m no princess. I’m nice, yes but so are a lot of people. I’m an introvert so I tend to be quiet, especially in large gatherings whether they be at work or in social situation. I’m going to listen before expressing my opinion but am quite capable of expressing that opinion forcefully – a fact which seems to catch people off guard. Apparently, good princesses don’t speak up. Next are my (gasp!) tattoos. I almost had to pass out smelling salts after I got my first tattoo. (I now have five for anyone who is keeping count. I’ll get a sixth as soon as I decide what I want.) Hardly a week goes by without someone being surprised/shocked by my tattoos. It seems good princesses definitely don’t get tattoos. I’m also a nerd which is reflected by the items in the office at my day job. I have a Boba Fett helmet, a Masterchief helmet and a variety of action figures from televisions shows and video games. (For the non-nerds among you, Boba Fett is a bounty hunter from the Star Wars universe and the Masterchief is the primary character in the Halo video games. They are two of my favorite virtual men.) I will admit that my choice of office décor makes me a hit with the twenty-something guys in my organization. They think it’s awesome that I’m a gamer. It’s always thirty-somethings and older that are shocked by my non-princess-like hobbies/fandoms. I’m okay with that even if it seems that princesses shouldn’t be nerds. But, even Disney princesses have changed over the years. So, the next time someone comments that my behavior is not as princess-like as expected, I’ll have to remind them about Leia and Merida - they’re they type of princesses I don’t mind being associated with. This entry was posted in Games/Movies/TV, Life and tagged Disney, nerd, nice, princess, princess aura, princess-like, tattoos. I’ve always thought of you as graceful, like a swan. That’s probably where your princess aura comes from. Thank you. That’s so sweet!